Starting in 1996 I collaborated with David Johnson, a teacher, videographer and independent scholar from Poughkeepsie, New York, on a project linking the famous Nasca Lines or geoglyphs with sources of subterranean water. Dave and I met by accident in the Nasca Valley when I was doing preliminary research for my 1998 archaeological survey of the lower drainage. In 1995, while visiting Nasca as a tourist, Johnson became aware of the scarcity of water in the region and the effect that this had on agricultural production and the quality of life. A self-taught dowser, he convinced many individuals in the town of Nasca of his ability to locate subterranean water. In 1995 he was asked to return the following year to locate additional water sources for the community. 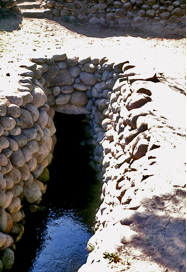 During the summer of 1996 when he returned, he began to study the ancient wells or puquios in the region and became aware of a correlation of these water resources with nearby archaeological sites. In 1996, when I arrived in Nasca and discovered that the vehicle I had rented in Lima was unsuitable to reach remote areas of the drainage, the local Catholic priest, Father David Ritter, with whom Johnson was staying, offered me the use of his ancient Volkswagen. Johnson eagerly agreed to serve as the driver, and we spent six days intensively exploring many parts of the drainage. I introduced him to the archaeology of the region and how the sites can be dated from the study of the architecture, surface pottery and other artifacts. 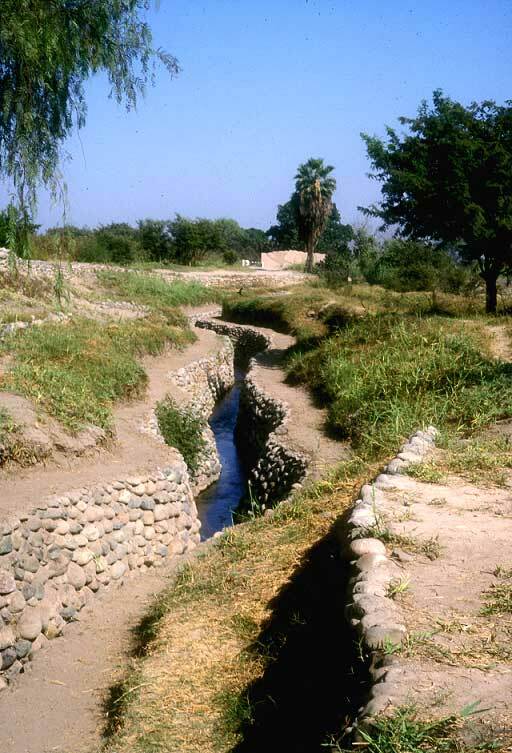 One of the characteristic features of the Nasca Culture, that dominated the drainage from 100 B.C. to 650 A.D., was the famous "Nasca Lines." The Nasca Lines or geoglyphs have been the focus of debate for over 70 years. These ground drawings consist of giant geometric forms (triangles, trapezoids, parallel lines) as well as biomorphs (birds, plants, and mammals) etched into the surface of the desert of southern Peru, especially in the drainage of the Rio Grande de Nasca. The geoglyphs were constructed by clearing the surface of small stones darkened by desert varnish, exposing the lighter soil beneath. Some of the geoglyphs are over a kilometer in extent and are located in all parts of the drainage, although many are concentrated on the Pampa de San Jose. The majority of the lines can be dated to the Nasca Culture, although some may be later. Many theories have been proposed to explain the function of the lines, but none of these connected the geoglyphs to subsurface water flow and to structural geology and hydrology. After I left Peru for home in 1996, Johnson continued his water research. He proceeded to map the location of all the puquios and the position of all the high yield wells in the central area of the Nasca Valley. What he found was a strong spatial correlation: where there were puquios there were clusters of high-yield wells that were reliable sources of water throughout the year. As this mapping progressed over the course of the summer another correlation began to emerge. Where there were alluvial gravels, high-yield wells and/or puquios, he found that these subterranean water sources seemed to be marked by geoglyphs. He argued that trapezoids lay directly over what he calls veins, but which more accurately are zones of higher permeability materials consisting of coarser gravels associated with distributary channels in the alluvial material. Johnson claims that the width of the trapezoids defined the width of the zone capable of transmitting ground water. A zigzag pattern located along the boundary of a trapezoid indicated there was no water and defined the boundary of the water flow. Triangular geoglyphs pointed to sources of water. The last correlation that he noted was that there were always archaeological sites affiliated with geological features, puquios and wells. These observations led to a new working hypothesis for the function of the Nasca lines that was different from any previous idea: geological faults and alluvial gravels provide pathways for ground water flow, and they transmit water as a zone of concentrated flow into the valleys. These geological features collect water in one part of the drainage and conduct it across and down the valleys to locations where it can be reached by digging puquios or wells, or to locations where the water table is high enough for springs or seepage to be present on the surface. The ancient people realized they could find a reliable source of fresh water at these locations and that is where they established their habitation sites. Johnson claims the ancient Nasca marked the flow of subterranean water with geoglyphs. He argued that there are five factors that are consistently found together: geological faults and/or higher permeability sands and gravels with the alluvial fans, archaeological sites, an aquifer, a source of fresh water (spring, seep, puquio, or well), and the geoglyphs that mark their location. Where one or more of these features are found there is a high probability the others are present. After Dave returned from Peru in 1996 and explained his hypothesis to me, I recommended that he collaborate with professional geologists since the scientific community would be very skeptical of his findings that were largely based on dowsing. Download the 1998 Nasca Survey Report here. In 1998, supported by these two sources of funding, an interdisciplinary team of geologists and archaeologists took the first steps to scientifically test Johnson's hypothesis. The team was composed of Johnson, myself as principal archaeologist, geologists Stephen Mabee and Hillary Barber of the University of Massachusetts, and Rick Ponti, a geologist from the private sector. The Department of Geosciences at the University of Massachusetts provided a variety of scientific equipment including a seismic refraction unit, magnetometer, total station, a resistivity unit, and an assortment of water analysis equipment. Geoglyphs map the course of the aquifers. The results of this preliminary work seemed positive, and Mabee returned to the Nasca drainage in 1999 accompanied by graduate student Janna Levin to further test the hypothesis with additional field investigations. I was no longer directly involved in the field activities. Geophysical surveying with resistivity profiling equipment and electromagnetic induction to map subsurface faults as they cross the valleys and to locate the position of puquios. Basic water quality sampling to help fingerprint the source of the subterranean water moving through the faults and sediments. A map was to be prepared for each site documenting the location of faults, archaeological sites, water sources (wells,	aquifers, puquios), and geoglyphs). Second, to validate the hypothesis, the geologists traced some of the major fault systems from their origin in the foothills of the Andes across the pampa to their intersection with major river drainages. At these locations they hoped to find evidence of faults, habitations, geoglyphs, and a source of fresh water. Third, as further verification, they planned to target one location where the correlation between geoglyphs, faults and archaeological sites was conclusive. The plan was to then drill a water well on that target. If the hypothesis was true, the well should produce a source of fresh water. 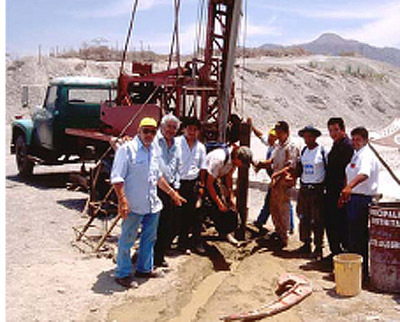 As early as 1997 Johnson had begun negotiations with Rotary International and the Rotary Clubs in the U.S. and Peru to acquire a drilling rig to be used to provide new sources of water for communities in the Nasca area. Eventually the equipment was shipped from the U.S., but because of customs bureaucracy in Peru, the rig was not available for use during the summer of 1999 but was used by Johnson in later years. Fourth, no one had surveyed the geology, hydrology and geoglyphs of the lower Rio Grande from Coyungo to the Pacific coast. A preliminary examination of this region was completed in 1999 and involved ground and air surveys of the valley and pampa to the south. Satellite imagery proved very useful in distinguishing geological features; it is a shame that Google Earth was not available at that time, for this new tool would have been invaluable. Following five years of research by various teams of geologists, the validity of Johnson's hypothesis has met with mixed results. Stephen Mabee and several of his graduate students analyzed the data on the correlation of the geoglyphs with faults containing subterranean water. Smith conducted an analysis comparing the trend of lineaments and faults with the trend of various geoglyphs, such as triangles and trapezoids, to determine if the correlation was statistically significant. Results indicate that the correlation between the trend of lineaments/faults and geoglyphs is not statistically significant. Any correlation appears to be coincidental. A much more significant correlation was expected. Geoglyphs may still have a relationship to subsurface water. However, a direct relationship between lineaments/faults and geoglyphs is not apparent (see Levin, 2000 and Smith, 2003). Johnson rebuts this conclusion by arguing that Smith's study did not include all the factors regarding the location of the geoglyphs and the flow of groundwater in the alluvium. On the other hand, some geoglyphs do indeed seem to be associated with water, both surface and subterranean water. 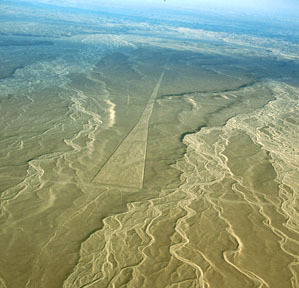 Johan Reinhard (1996) has argued that there is a "direct relationship between the Nasca Lines, the worship of mountain deities, rainfall, water supply and agricultural fertility." He too feels that some of the geoglyphs point to sources of water and served as connectors between water sources, including mountains like Cerro Blanco, and sacred areas where fertility rites were carried out. In my opinion Johnson has demonstrated that some geoglyphs are associated with water-conducting faults and alluvial gravels and mark the location of ancient water sources. There are many controversial aspects to this project, the primary one being Johnson's initial reliance on dowsing to locate subterranean water along with the width, depth and boundaries of the flow. Another is his argument that some geoglyphs were cognitive and physical maps of the drainage's subsurface water. Others dispute his hypothesis as being too simplistic. Johnson contends that after making the connection between water and geoglyphs, he can now use the geoglyphs themselves, along with his knowledge of geology and hydrology, to find water. He has been hired as a consultant by agencies in Nasca, Ica and Chile, among others, and has successfully located water sources that are now being used by local communities. One of the positive results of the research is a much better understanding of the geology and hydrology of the R�o Grande de Nasca drainage. Johnson, Mabee and the other geologists clearly demonstrated that in addition to the annual discharge of water in the rivers, the ancient occupants of the valley had secondary sources of water that allowed them to survive during the many months where no water flowed from the mountains and during times of drought. This water was obtained from springs, seeps, and tapping into the water table with a system of wells and canals known as puquios. They demonstrated that some water entered the main valley as groundwater flow through the alluvial fans located in many of the lower elevation drainages that enter from the side valleys. Some of the water entering the main valley from the sides is at a higher elevation than the main river valleys. Chemical analysis of the water suggested that nearly all the water has a meteoric source and much of it is carried within the gravels of the main east west rivers. However, some water clearly has its source during the infrequent but regular rainfalls that occur in some of the lower elevation catchments that flank the main river valleys. The infiltrated water in these side valleys provides an additional slug of water to the springs, seeps, wells and puquios located in the main agricultural zones of the valley. The one exception is Cerro Colorado. The springs at this location have a unique chemical signature that suggests these waters traveled along a different flow path. It is likely these waters are traveling along the major structure located at Cerro Colorado (see Carlson, 2003). The large habitation sites at Cerro Colorado were established at or near locations where the supplementary water came to the surface. 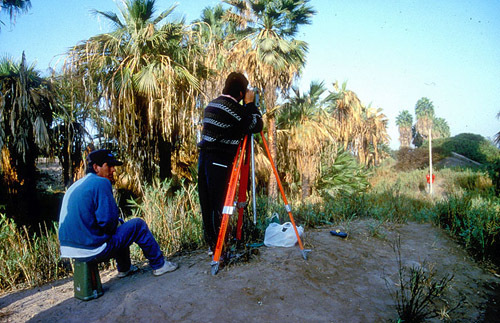 In addition to their investigations of the hydrology of the Nasca and the Rio Grande de Nasca valleys, the geologists conducted a thorough survey of the geology of the Cresta de Sacramento in the Palpa Valley (Mabee 2003). Slowly we are getting a better understanding of the role of water by ancient societies in this area, its varied sources, how they obtained it, and how the geoglyphs might be part of the equation. 1994 Effect of faulting on fluid flow in porous sandstones: Petrophysical properties. American Association of Petroleum Geologists Bulletin, 78:355-377. 1986 The Nasca Lines: Patterns in the desert. Archaeology, 39(4):, 32-39. 1990 An Assessment of previous studies of the Nasca lines, in Aveni, A., ed., The lines of Nasca, Memoirs of the American Philosophical Society, 183:1-40. Philadelphia: The American Philosophical Society. 1996 Nasca lines, in Fagan, B., ed., The Oxford companion to archaeology. p.487.New York: Cambridge University Press. 2000 Between the Lines. Austin: University of Texas Press. 1991 Filtration-gallery irrigation in the Spanish new world. Latin American Antiquity, 2(1):48-68. 1990 Analysis of the Socorro hydrogeothermal system: central New Mexico. Journal of Geophysical Research, 95:949-963. 1995 Fluid flow along potentially active fault zones. Geology 23:683-686. 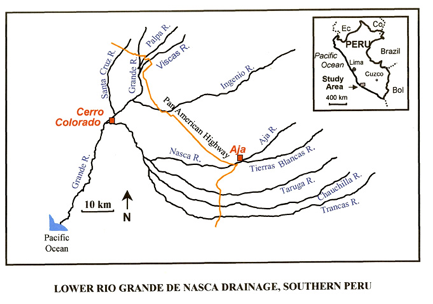 2003 Geochemistry of Waters in the Rio Grande de Nasca Drainage Basin, Peru. [unpublished M.S.] University of Massachusetts. 1990. The archaeology of the Nazca pampa, Peru: Environmental and Cultural Parameters, in Aveni, A., ed., The lines of Nasca, Memoirs of the American Philosophical Society 183:115-172. Philadelphia: The American Philosophical Society. 1969. Ancient lines in the Peruvian desert. Final Scientific Report for the National Geographic Society Expedition, Cambridge: Smithsonian Astrophysical Observatory. 1997 The Relationship Between the Lines of Nasca and Water Resources. Paper presented to the 16th Annual Meeting of the Northeast Conference on Andean Archaeology and Ethnohistory, University of Maine, Orono, October 5, 1997. 1998 The water lines of Nasca. Rumbos, 3 (11):50-56. 1999 The Correlation Between the Lines of Nasca and Subterranean Water Resources. in Nasca, Geheimnisvolle Zeichen im Alten Peru, edited by Judith Rickenbach, pp. 157-164.Zurich: Museum Rietberg Zurich. 2002 The Correlation Between Geoglyphs and Subterranean Water Resources in the Río Grande de Nazca Drainage. in Andean Archaeology II: Art, Landscape and Society, edited by Helaine Silverman and William Isbell, pp. 30. New York: Kluwer Academic/Plenum Publishers. 2006 The Geoglyphs of Palpa, Peru - Documentation, Analysis and Interpretation. Forschungen zur Archäologie Aussereuropäischer Kulturen, Band 2. Aichwald: Linden Soft Verlag. 2000 A hydrogeochemical study of water resources in southwestern Peru. [unpublished M.S. ], University of Massachusetts. 1965 Land, life and water in Ancient Peru. New York: Long Island University Press. 1999 Tectonic controls on the hydrogeology of the Rio Grande rift, New Mexico. Water Resources Research 35(9):2641-2659. 1940 Acueductos y caminos de la hoya del Rio Grande de Nazca. Actas y Trabajos Cientificos del XXVII Congreso Internacional de Americanistas, Lima 1939, Vol. 1, pp. 559-569. 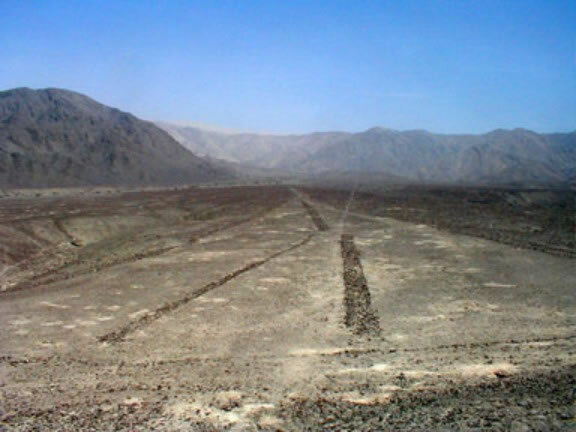 1978 Pathways of the Gods: The Mystery of the Nasca Lines. New York: Harper and Row. 1994 A Sensitivity Study of the Driving Forces on Fluid Flow During Continental-Rift Basin Evolution. Geological Society of America Bulletin 106:461-475. 1968 Local Differences and Time Differences in Nasca Pottery. University of California Publications in Anthropology, Vol. 5. Berkeley: University of California Press. 1999a Settlement Patterns and Society in South Coastal Peru: Report on a Survey of the Lower Río Nasca and Río Grande, 1998. Unpublished manuscript available on this web site. 1968 Mystery on the Desert. Stuttgart: Heinrich Fink Gmb. 1974 Peruvian Ground Drawings. Munich: Kunstraum Munchen E.V. 1996 The Nazca Lines: A New Perspective on Their Origin and Meaning. Lima: Editorial Los Pinos, Sixth Edition. 1995 The Puquios of Nasca. Latin American Antiquity 6(3):229-254. 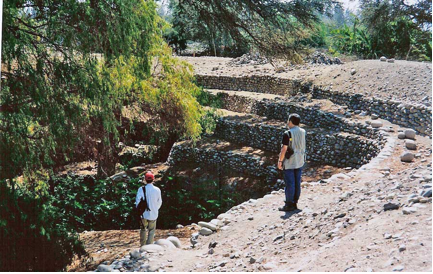 2003 Irrigation and Society in the Peruvian Desert: The Puquios of Nasca. New York: Lexington Books. 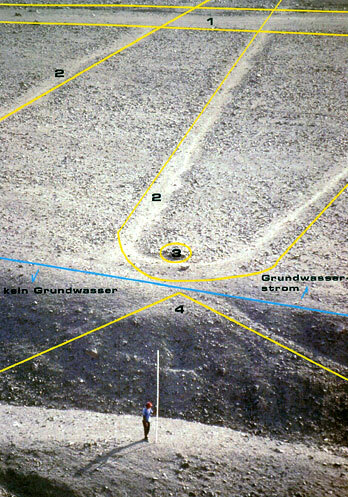 1990 Beyond the Pampa: The Geoglyphs in the Valleys of Nazca. National Geographic Research 6(4):435-456. 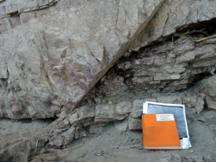 1999 Evidence for Interbasin Flow Through Bedrock in the Southeastern Sierra Nevada. Geological Society of America Bulletin 111(11):1600-1616. 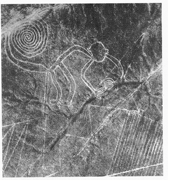 1990 Andean Social Organization and the Maintenance of the Nazca Lines, in Aveni, A., ed., The Lines of Nasca, Memoirs of the American Philosophical Society, Volume 183, pp. 173-206. Philadelphia: The American Philosophical Society. 1971 Chariots of the Gods? New York: Bantum. 1998 Arrival of the Gods: Revealing the Alien Landing Sites of Nazca. Boston: Element Books. 2003 Preliminary Geology and Assessment of Groundwater Potential at Cresta de Sacramento, Palpa, Peru. Field Report-July 2002. 1988 Hydrochemical Cycling and Chemical Denudation in the Fort River Watershed, Central Massachusetts: An appraisal of Mass-balance studies. Water Resources Research 24(1):105-114. Return to Don Proulx's homepage.